Do you own or operate a restaurant or takeaway? What must I do to comply with the law? The Regulatory Reform (Fire Safety) Order 2005 states that you are legally responsible for taking steps to protect the people using our premises from the risk of fire and where necessary, you must improve your fire safety measures to ensure everyone can safely escape in case of fire. 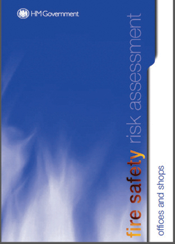 A fire risk assessment is a thorough review of the fire precautions of your premises and the people who are likely to use them. It should consider the risk of fire breaking out and what measures you need to put in place to prevent it and keep people safe. Provide information to relevant persons. 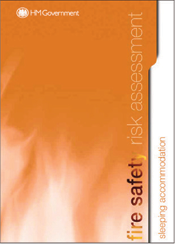 What happens if I don’t have a fire risk assessment? Put simply you are more likely to have a fire and less likely to recover from one. You may also put people at risk and be prosecuted. Did you know the Fire Service may inspect your premises as part of our responsibility to enforce fire safety law? 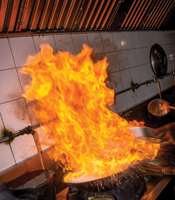 If we feel you need to improve your fire safety we would normally first offer advice, but in serious cases we may take formal enforcement action and in some cases close your business, until it is safe to open again. The short time you invest in carrying out a fire risk assessment and making improvements could protect the lives of your employees, customers or family members and ensure your business remains open. Does anyone sleep above the business? Fire safety is especially important where people may be asleep in rooms or flats above a business and their access is by a single, open or unprotected staircase through the main public or kitchen area. The floor plan shows a dangerous layout. 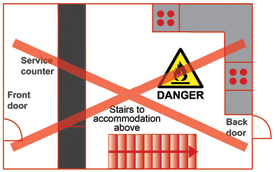 If the layout of your premises look like this, the people sleeping on the floor(s) above are at risk of death or serious injury in case of fire. You should immediately contact the Oxfordshire County Council Fire & Rescue Service on 08000 325999 for fire safety advice. Fires in industrial and commercial premises can have a serious impact on both the national and local economy. A simple solution is to install an Automatic Water Suppression System (sprinkler system). 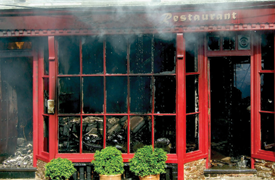 Automatic Water Suppression Systems are a well-established technology, demonstrating their effectiveness at protecting life and property in a variety of building types over many years. They are a combined fire detection and extinguishing system. They provide continuous protection throughout the day and night, irrespective of whether or not the premises are occupied. If you employ five or more people, (including any who work part time), are licenced, the law says you must keep a written record of (five key steps) findings. However, even if this does not apply to you, keeping a record of significant findings will save you time and money when you come to review and update your assessment.